When you shop, donate and volunteer with the Knoxville Habitat for Humanity ReStore, you’re helping families build strength, stability and self-reliance. Profits from merchandise sales provide a way for people in need of decent, affordable housing to become homeowners. Voted Favorite Thrift Store in the News Sentinel Best of Knoxville, our ReStore offers new and used furniture, clothing, household items, building materials, appliances and more at a fraction of the price. Not only is your donation tax-deductible, but it helps deserving families in need of an affordable home. Plus, your donations are environmentally friendly and help keep tons of materials out of landfills. Looking for a way to help the community and our ministry? The ReStore offers fun and flexible volunteering experiences for individuals as well as groups. 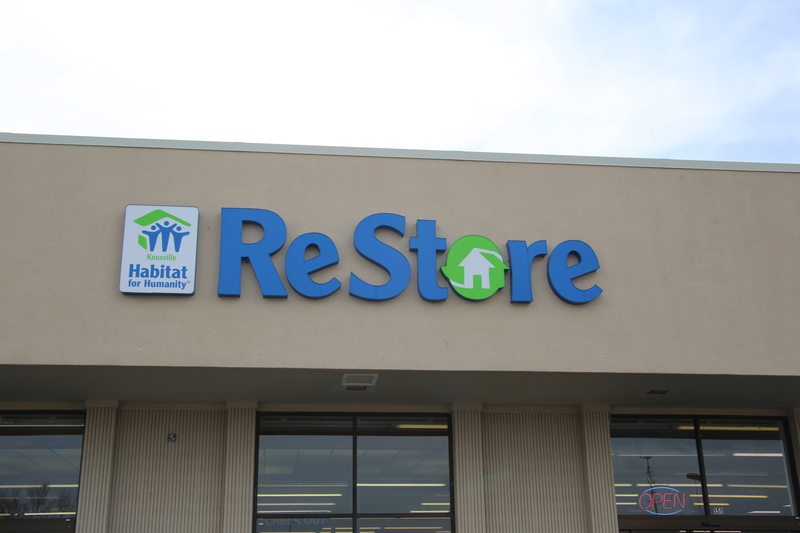 The Knoxville Habitat ReStore is located at 1511 Downtown West Boulevard in Knoxville, TN. Our hours are Monday-Friday 9:00 a.m. to 6:00 p.m., Saturday 9:00 a.m. to 4:00 p.m., and we’re closed on Sunday. Our friendly staff and volunteers love helping you with your donations and shopping experience.